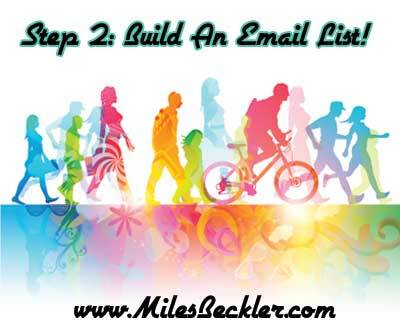 Now that you have targeted an audience who has a specific and urgent need (As you learned about in Step #1), it is time to build an opt-in email list of people who are interested in your hyper-focused niche. I'll carry on with the 'Yoga for back pain' niche and audience, for the purpose of this example. To do this, lets rewind about 10 years ago when I first started making real money online. I found a niche, I had an offer, and I was aggressively marketing every day. Things started to click and I was beginning to consistently generate $40 commissions. One here and there at first, then one a day and then pretty soon it was up to 5 even 10+ per day on some days. 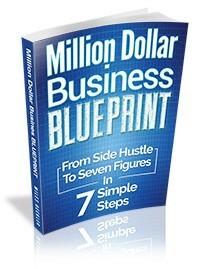 I went from struggling to generating over 5 figures in income within a matter of months. You would think that I'd be intelligent enough to invest in this growing business to add on the paid tools that every professional marketer had been recommending to me for years right? I was stubborn and I thought I had found a 'cheaper and better' way that allowed me to make sales without having to spend any money on those lead generation components. It was all fun and games until the site I was doing all of my marketing through changed their terms of service and my income literally dropped down to $0 overnight. Had I been building an email list FIRST, like I do now and like I'm teaching you to do here... I would have had a list of tens of thousands of people interested in a specific niche who I could have continued to market to while I found a new channel to attract new leads. Literally, I could still be making money from those efforts today. But alas... I had to learn a HARD lesson. On my next major website projects, I began using list building tools, but I didn't choose the professional level tools, I used some of the 'cheap' and 'free' alternatives. This was another HUGE mistake because these tools lacked specific functionality and they required hours upon hours of effort to try and get them to work together, which ultimately they never did. With months of struggling to make the 'cheap' alternatives work, I again gave up on those and finally purchased the industry standard tools. The good news is that I'm still using those same tools today and I spend less time on 'configuring' everything and am generating more leads and more sales than ever before! 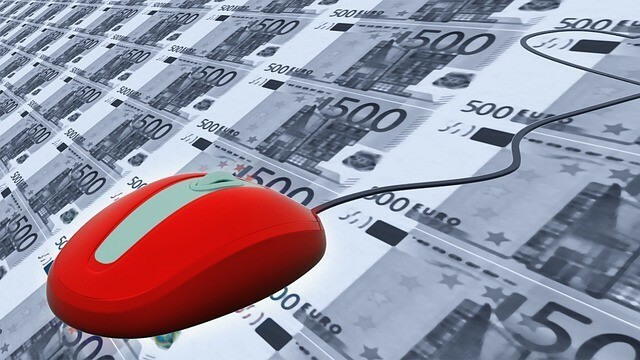 The short version of the story is that these tools are not optional if you are truly committed to making money online. Ok, sorry for the tangent before digging in here and getting to the goods but I wanted to be sure that you understand how important this step is and these tools are to your long term success with making money online. Now that you have your targeted audience, it is time to build a list of people from that audience who are actively searching for solutions. And, no one 'laid it all out' for me, which is why I was inspired to show you step by step how to set this all up. In order to create your own marketing funnel like the one I show you how to create in the video above, you will need an Email Autoresponder and this Funnel Creation System. The Email Autoresponder is the system that manages your email list that you are building. When you collect leads, the 'live' here. You are able to create follow up emails that are automatically sent out on a set schedule, to automate the follow up process with all of your leads at once and you have the ability to log in and send a 'broadcast' email to all of your subscribers at once if you want to promote a special or new product. The follow up series in the autoresponder generates consistent and residual income once you get it dialed in right. You stay focused on generating leads and a percentage of those leads will purchase the items you recommend in your autoresponder. The broadcast side of the autoresponder turns your list into a cash-on-demand system! When you find out about a new and relevant product or if a product you have been promoting offers a coupon code or special price, you can log in, send your email to the entire list (which can literally go out to tens of thousands of emails at once when you have built a big list) and then the 'Sale Notification' emails start showing up, sometimes almost instantly. In order to get a user on your list, you need a tiny, 1 page website that is managed by the Lead Generation System that connects to your autoresponder account and places visitors onto your autoresponder list when they subscribe. This system has dozens of pre-made lead capture pages that are professionally designed to convert traffic into leads by offering visitors a free report in exchange for their email address. Yes, you will need to create (or hire a writer to create) a free report that is highly relevant to your audience in order to 'plug that in' to this system, but that is ultimately simple. For our Yoga for back pain niche example, I could put together a .pdf report titled '10 Yoga Poses That Will Eliminate Back Pain FAST'. If I was a certified Yoga Instructor, I may actually put together a free video series with the same title, where I demonstrate getting into each pose on video. Not a Yoga instructor and you still want to put together a video series? Well, you could always find a new or local Yoga instructor who would be willing to be recorded or even just photographed demonstrating a series of poses. Obviously this is not the 'free' way to go about it, whereas doing research and writing a .pdf yourself would be free, but I'm trying to illustrate how a little creativity can allow a marketer to enter just about any niche. From the point of view of the visitor, in this example someone with back pain, when they find this offer presented in a clean and professional way (thanks to the lead generation system's professional templates) they will more often than not subscribe to get access to the videos or the .pdf. You can then follow up with them automatically with your Email Autoresponder, to further build rapport, gain trust, and then offer them a product for sale. It's simple, effective, and when set up correctly can be refined and dialed in to work for you and create income for a very long time. At this point, you have your lead generation system up and running. Next we're going to look at monetizing your list before we get into driving traffic. Each step will get covered in more detail... Get yourself ready to take action when I cover the marketing portion, by getting your Autoresponder and your Lead Generation System going now!